Face Cosmetic Skincare offers the most innovative, non-surgical treatments, laser therapies and physician dispensed skincare product lines to help you look and feel your best! For your safety, and to ensure exceptional care, these treatments are only conducted by licensed and experienced aestheticians. 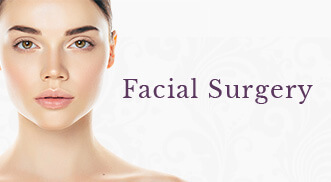 In addition, our injectable treatments, such as Botox and Dermal Filler, are only provided by one of our physicians. Chemical PeelClear acne, improve skin tone and texture, soften fine lines, and get a powerhouse GLOW with Chemical Peels. Clinical & Spa Facial TreatmentsTreat, correct, and improve any skin condition as our licensed aestheticians utilize the latest advancements in skincare science with Clinical & Spa Facial Treatments. DermabladingGet your smoothest skin possible with Dermablading! This treatment gently scrapes away weeks of dead skin cell build up and temporarily removes unwanted facial hair for unbelievable, baby soft skin. DermabrasionDermabrasion is generally used to refer to a true surgical procedure that aggressively abrades away the top to mid layers of the skin. The term micro dermabrasion is a non-surgical procedure that abrades less deeply than dermabrasion. Eye Lash EnhancementLengthen, thicken, condition and enhance your way to gorgeous, natural lashes with Latisse and Revitalash! Facial Waxing & TintingEnhance your facial features with brow and lash tinting, and get expertly arched eyebrows and smooth skin with facial waxing! Forever Clear BBL™Reduce acne by up to 80% without the use of topical or oral medication with Forever Clear BBL™ Acne Laser Treatments! Forever Young BBL™Enjoy a multitude of benefits in just one treatment! 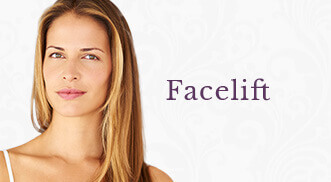 Forever Young BBL™ improves skin’s overall appearance and health. HALO™ Hybrid Fractional LaserHalo™ combines the synergistic benefits of both ablative and non-ablative laser rejuvenation to improve skin’s texture and tone. Hydrafacial MD®A 4-in-1 treatment that gets you glowing for special events and helps to improve and maintain your skin all year round. Say hello to Hydrafacial MD®! Hyfrecator Blemish RemovalEffortlessly remove annoying skin tags, milia and other skin blemishes with one treatment and no scarring and minimal downtime! KybellaReclaim your jawline, ditch a double chin, and look slimmer and younger with FDA-Approved Kybella™! Laser Skin ResurfacingImprove skin’s texture, fine lines and wrinkles, acne scarring, pore-size and overall firmness with PIXEL Laser Resurfacing. Laser Vein TherapySafely eliminate spider veins from all areas of your body and feel confident in shorts and skirts again with Laser Vein Therapy. MicrodermabrasionUnveil smooth, soft and even skin as you exfoliate away a dull complexion with Microdermabrasion. MRewards ProgramPartner with a Licensed Aesthetician on a monthly basis, enjoy amazing discounts throughout the year on products and services, and achieve your most healthy and beautiful skin possible with our MRewards Membership! Photorejuvenation (IPL)Banish brown spots, facial redness and uneven skin tone while you unveil clear, radiant skin with Intense Pulsed Light (IPL). SkinPenSmooth acne scars, diminish the appearance of fine lines and wrinkles and boost your skin’s natural production of collagen and elastin with SkinPen® Microneedling.